Does MLS Finally Have the Financial Stability to Lure Overseas Players in Their Prime? 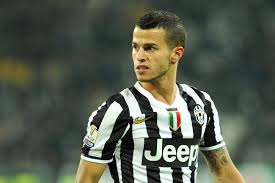 Juventus striker, Sebastian Giovinco, signed a Major League Soccer contract and will join Toronto FC this summer after his contact with Juventus ends. Reportedly, the deal is for five years with Giovinco earning over $7 million per year which would make him the league’s highest paid player. 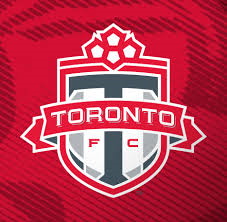 The 28 year old can begin playing for Toronto July 1 when the MLS summer transfer window opens. Entering its 20th year of existence, MLS has primarily signed International stars past their prime and at the end of their careers. Spain’s David Villa, Brazil’s Kaká, and England’s Frank Lampard will play in MLS during the 2015 season. Lampard will turn 37 this year with Villa and Kaká turning 34. During its inaugural season in 1996,MLS signed U.S. stars such as Alexi Lalas, Tony Meola, and Mexico’s 30 year-old goalkeeper, Jorge Campos, and Colombian midfielder, Carlos Valderrama, then 35, were the marquee foreign players signed by the league. But, Giovinco’s signing is different. He is arguably the first foreign player in his prime signed by MLS. Since Tony Conte has taken over as the Azzurri manager, Giovinco has made regular appearances for the Italian national team. Pairing Giovinco with American midfielder Michael Bradley and American striker Jozy Altidore should make Toronto FC fun to watch. Yet, it is still surprising to see Giovinco come to MLS at this point in his career where the competition is not as strong. The level of play in MLS has never been stronger, but still cannot match the top leagues in Spain or Europe. U.S. Soccer fans know how U.S. National Team coach Jurgen Klinsmann feels about MLS. While he supports the league, Klinsmann still prefers his players playing overseas due to better competition. Let’s hope Tony Conte does not feel the same way about his Italian striker. « Will Kobe Walk Away From Game After Latest Injury?